Ram Durairajan is an Assistant Professor in the Department of Computer and Information Science at the University of Oregon. With his colleague Prof. Reza Rejaie, Ram co-leads the Oregon Network Research Group (ONRG). Ram earned his Ph.D. and M.S. degrees in Computer Sciences from the University of Wisconsin - Madison and his B.Tech. in Information Technology from the College of Engineering, Guindy (CEG), Anna University. Ram's research has been recognized with Best Paper Awards from ACM CoNEXT and ACM SIGCOMM GAIA and has been covered in the media (NYTimes, MIT Technology Review, Popular Science, Boston Globe, Gizmodo, Mashable, among others). In addition, his dissertation research on Internet topology and robustness ("Internet Atlas") has recently been named as "One of the 100 Greatest Innovations of 2017" and has won a number of awards including UW-Madison CS Department "Graduate Research Award" for best dissertation research in 2018 and the "Best of What's New" (in security category) by the Popular Science Magazine in 2017. We are looking for motivated students to work with us at ONRG. For more information, please see here and here. Feel free to drop me an email with your CV. April, 2019: Thrilled to receive UO Faculty Research Award! January, 2019: Co-organizing the 1st ACM SIGCOMM workshop on Optical Systems Design (OptSys) with Chen Avin, Paolo Costa, Manya Ghobadi, and Stefan Schmid. October, 2018: ADAPT to appear in Elsevier FGCS'19! We show how to use pretense theory to effectively defend attacks (e.g., DDoS, APT, etc.) in cloud platforms. September, 2018: Two posters from ONRG will appear in ACM IMC'18. Congrats Matt and Chris! July, 2018: Our work on strategies for active IPv6 topology discovery to appear in ACM IMC'18! July, 2018: Our work on time synchronization system for the Internet of Things to appear in the 8th ACM International Conference on the Internet of Things. June, 2018: Multiple awards won by my students at ONRG: Anisha Malynur won the J. Donald Hubbard Family Scholarship, Bahador Yeganeh won the Gurdeep Pall Graduate Fellowship, and Chris Misa won the VPRI Fellowship. Congrats Bahador, Anisha, and Chris! June, 2018: Checkout our time synchronization system for the Internet of Things. 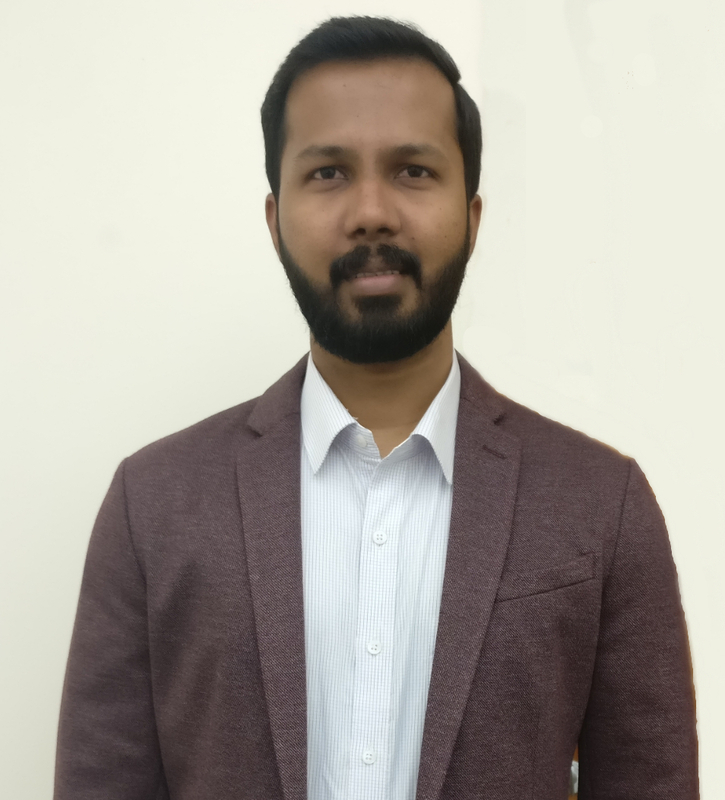 June, 2018: Excited to annouce that Anirudh Muthukumar will be working with me at ONRG as an intern this summer! May, 2018: Check out our preprint on strategies for active IPv6 topology discovery. May, 2018: Our work (EMPol) on using web browing logs to assess user's candidate preference to appear in ACM SIGKDD'18! May, 2018: Our work on characterizing "The Edge" in mobile edge computing to appear in ACM MECOMM workshop co-located with ACM SIGCOMM'18! May, 2018: Our work on climate change risks to Internet infrastructure will appear in Applied Networking Research Workshop! May, 2018: Our work (TimeWeaver) on using NTP to measure one-way delays between arbitrary hosts in the Internet to appear in International Teletraffic Congress! April, 2018: Excited and honored to receive UW-Madison's Graduate Research Award! March, 2018: It was fun to be a judge and a problem contributor for the 22nd Annual UO Eugene Luks Programming Competition! March, 2018: Our work on virtualizing unused optical fibers (vFiber) will appear in USENIX NSDI'18 as a poster. Congrats Matt! March, 2018: Our work (Tezzeract) on using NTP to create an Internet-wide event detection framework to appear in IFIP Networking'18! January, 2018: Dolus to appear in ACM ICDCN'18! We show how to use pretense theory to effectively defend DDoS in cloud platforms. December, 2017: Attended and presented our work on climate change risks to Internet infrastructure at the Dagstuhl seminar (17511). November, 2017: Our work on automatic metadata generation (SoMeta) in IMC'17. Source code is available here. The work is completely reproducible. October, 2017: Brainchild from my PhD ("Internet Atlas") has been named one of The 100 greatest innovations of 2017 by Popular Science. October, 2017: Excited to receive an NSF Support Grant for attending Dagstuhl seminar. Thanks NSF! September 16, 2017: Started at UOregon CIS as an Assistant Professor! Ram's research vision is to create a "robust Internet" by understanding the Internet's structure and behavior through principled measurements. To that end, Ram is developing techniques for (i) measuring and analyzing the topological structure of the Internet, (ii) measuring and understanding end-to-end path dynamics, and (iii) designing scalable and deployable systems to mitigate risks, outages, and cybersecurity issues. Broadly speaking, Ram has addressed research questions in several areas of computer networking including network measurements and analysis, network economics, large-scale network simulations, debugging and testing in software-defined networks, mobile and wireless communication, Internet of things, visualization, cyber attacks and security issues, and datacenter transport protocols. Graduate Students: Matt Hall (2018 -- present), Chris Misa (2019 -- present), Cristian Ramirez (2018). Undergraduate Students: Nolan Rudolph (Winter 2019 -- present), Chris Misa (Summer 2018 -- Fall 2018), Anirudh Muthukumar (Summer 2018), Anisha Malynur (2017 -- 2018), Andrew Hill (2017 -- 2018). I am also fortunate to work with: Bahador Yeganeh (UO, 2017 -- present), Soheil Jamshidi (UO, 2017 -- present), Meenakshi Syamkumar (UW-Madison, 2013 -- 2018), Sathiya Kumaran Mani (UW-Madison, 2013 -- 2018). In Elsevier Future Generation Computer Systems (FGCS)---Special Issue on Cyber Threat Intelligence and Analytics, 2019. In Proceedings of ACM IMC'18, Boston, USA, November 2018. In Proceedings of ACM IoT'18, Santa Barbara, CA, USA, October 2018. In Proceedings of ITC 30, Vienna, Austria, September 2018.
co-located with ACM SIGCOMM'18, Budapest, Hungary, August 2018. In Proceedings of ACM SIGKDD'18, London, UK, August 2018.
co-located with IETF 102, Montreal, Canada, July 2018. In Proceedings of IFIP Networking'18, Zurich, Switzerland, May 2018. In Proceedings of USENIX NSDI'18, Renton, WA, USA, April 2018. In Proceedings of ACM ICDCN'18, Varanasi, India, January 2018. In Proceedings of ACM IMC'17, London, UK, November 2017. Ph.D. Thesis, University of Wisconsin - Madison, August 2017. In proceedings of ACM SIGCOMM CCR'17, April 2017. In Proceedings of ACM IMC'16, Santa Monica, CA, USA, November 2016. In Proceedings of IEEE VizSec'16, Baltimore, MD, USA, October 2016.
co-located with ACM SIGCOMM'16, Florianopolis, Brazil, August 2016. In Proceedings of ACM HotNets'15, Philadelphia, PA, USA, November 2015. In Proceedings of ACM SIGCOMM'15, London, UK, August 2015. In Proceedings of ACM SummerSim'15, Chicago, IL, USA, July 2015. In Proceedings of ACM CoNEXT'14, Sydney, Australia, December 2014. In Proceedings of ACM IMC'14, Vancouver, Canada, November 2014.
co-located with ACM SIGCOMM'14, Chicago, IL, USA, August 2014. In Proceedings of ACM CoNEXT'13, Santa Barbara, CA, USA, December 2013.
co-located with ACM SIGCOMM'13, Hong Kong, August 2013. In Proceedings of IEEE/ACM IWQoS'13, Montreal, Canada, June 2013.